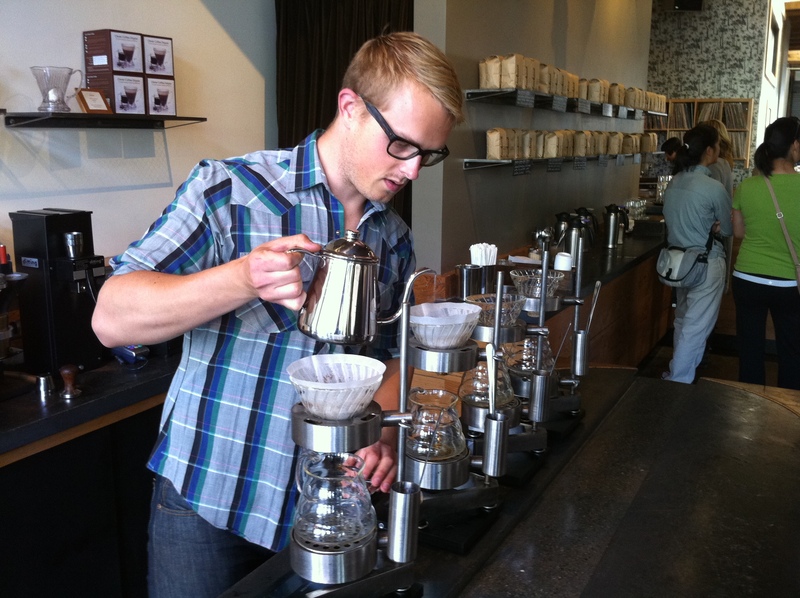 Haven’t been to SF in several months and how exciting the coffee scene has gotten since! 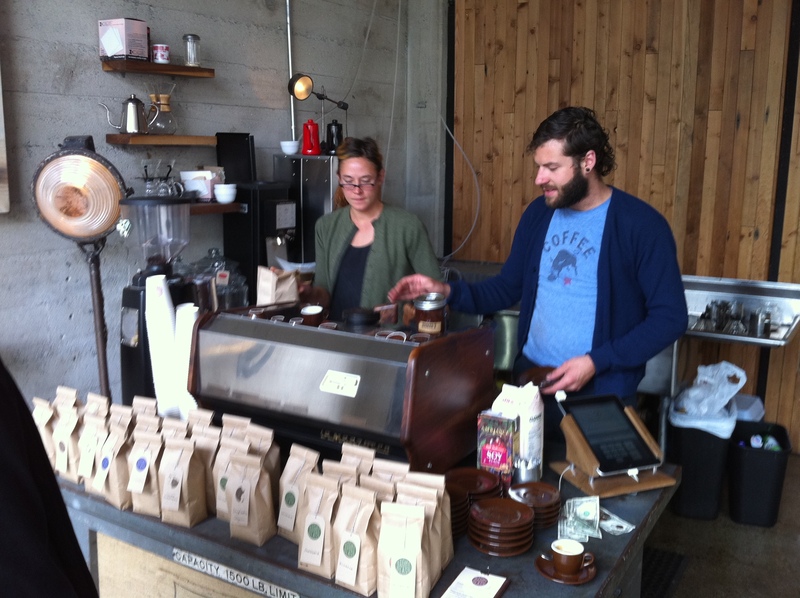 First, Four Barrel has really upped their single origin bar, a smaller bar separate from their main coffee bar dedicated to a more personal approach to making and presenting coffee to the consumer. Here the barista prepares espresso (via a prototype, espresso-only La Marzocco Shot Brewer they’re field testing for us) or pourover from a list of SO coffees. The utmost attention and care is taken with every single drink while the barista has the opportunity to answer any questions about the coffee the customer may have. Wait time is secondary to quality. With such dedicated attention to SO coffees, this setup has helped to double their whole bean and increase their merch sales. If you’re in town, drop by for Four Barrel’s 2nd anniversary party. Happening tonight in the Mission. Down the street, Ritual has a new deliciously tangy espresso, called the Double Rainbow. Consisting of Costa Rican, Guatemalan, and Kenyan coffees, it was a nice espresso to have first thing in the morning. Further up in SOMA, Sightglass is inching forward in their grand build out of their new roastery/cafe. They are now officially roasting and serving their own coffees on their vintage La Marzocco GS/2. If things go according to plan, they’re set to open sometime Nov-Dec. This was a quick, last minute trip so I didn’t get to visit many of my other favorites in the city. 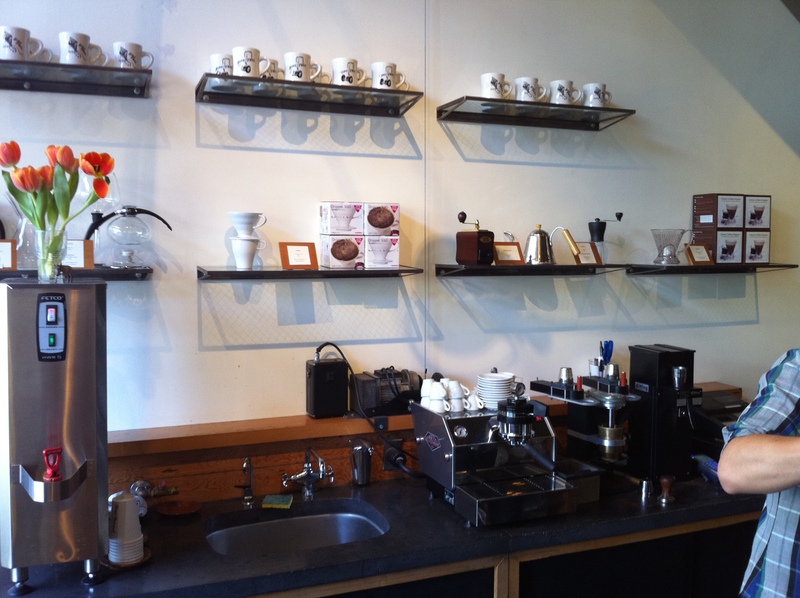 Next January, however, will be a different story, when La Marzocco will be hosting OUT OF THE BOX SF(ish). Stay tuned for more info.